Today I thought to do a fun post about me. I was Planning to do this post while ago and now I am Finally doing it. I hope you like it. I would love if you guys join me and answer some of the questions about yourself. Let’s find about each other. A. Hmm, don’t remember SORRY! A. Yes, I have 1 daughter Alhamdolilah! A. I do, but not a lot. 6.What’s the first thing you notice about people? 7.What is your eye color? 8.Scary movie or happy endings? 10.What’s the furthest you’ve ever been from home? 11. Do you have any special talents? 12. Where were you born? 13. What are your hobbies? A. Hmm, watching YouTube and sometimes when I am stressed and exhaust I like to do watercolor. 14. Do you have any pets? 15.Do you have any siblings? A. Hmm, haven’t think about it that much. Right now I am happy who am I and how life is treating me. Alhamdolilah! 17. Who was your first best friend? A. Her name is Areesha. We know each other since grade 1. 18. How tall are you? A. Hmm, there were many funny moments and embracing too. But When I was in 8th standard, we had 2 different section one for boys and other for girls and I remember we girls love to waste teacher time especially Urdu subject teacher and if we have our Urdu period after lunch break and we use to lock our classroom door knob and then use to panic “who does that, who does that” and then teacher always ask us to call any worker who have keys to open it. And we the naughtiest girls in the entire school we use to roam around instead searching for desired people. I really laugh out loud when I remember those moments. 20. How many countries have you visited? 21. What was your favorite/worst subject in High School? 22. What is your Favorite drink? Animal? Perfume? 23. What would you (or have you) name your children? 24. What Sports do you play/Have you played? 25. Who are some of your favorite YouTubers? A. OMG! There are so many, Nikkie Tutorial, Desi Perkins, Kathleen Lights, Bodmon Zaid, Coolirpa, Nicole Guerriero, How to Cake it, Jadirah Sarmad, Anushae says, Glossips, Jeebee, Lipstick and Butter and many many more. Can’t type everyone’s name, these are the one to whom I recently watched so. 26. How many Girlfriends/Boyfriends have you had? A. Only 1 and now he is my husband. 27. Favorite memory from childhood? A. I really miss my Grandfather, he was my friend, my mentor, and partner in crime. Every moment I have spent with him is my favorite and best memory from my childhood. 28. How would you describe your fashion sense? A. Simple, Comfy, According to present fashion but not too much. 30. Tell one of your bad habits! A.Hmm, I never clean my room I don’t know why and I really hate this about myself. That was all my folk! I hope you liked the post and were able to know me a bit better than before. 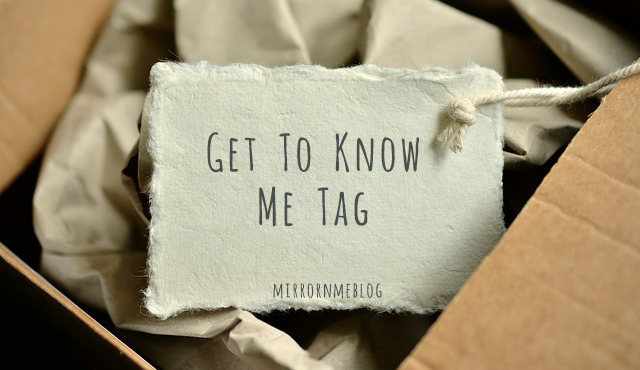 Let me know if you want to know something else about me. And yes! Don’t forget to follow me on Instagram, Twitter and Facebook for just random stuff happen in my life.